In the morning, PETAL studio’s Abigail will demonstrate how to create a lush, bountiful, and richly scented summer arrangement using eco-friendly Oasis free techniques... You will then have the opportunity to design your own arrangement to take home (similar to the one pictured), rich with the heady scent of summer- all under Abigail’s expert guidance and tuition. 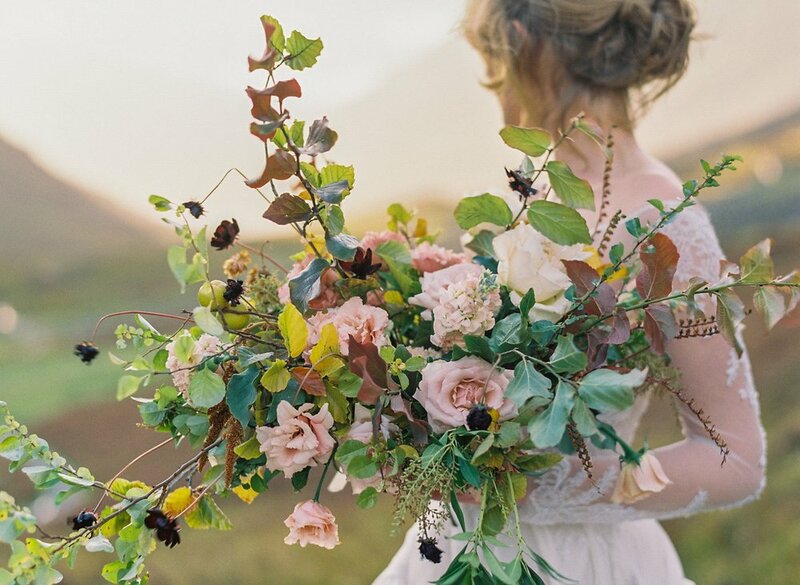 Abigail exclusively works to source UK & Irish grown blooms, and these, along with some foraged treats and even some gorgeousness from her own garden, will have you in floral heaven! Mike will skilfully guide you through designing an exquisite fragrance blend for Scented Candles, using the most luxurious essential oils, and eco-friendly soy wax, inspired by the blooms used in the earlier part of the day. Your very own, unique, bespoke fragrance, will then be used to scent three hand-poured, soy wax candles to take home… Mike will then turn his attention to teaching you how to make your very own beeswax tapered candles!